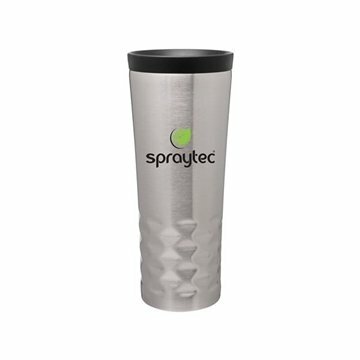 16.9 oz double wall 18/8 stainless steel thermal tumbler with copper vacuum insulation, threaded 360 drink-thru easy clean lid. I liked the sturdiness of the product. The turn-around time was fantastic. They were a hit! Product turned out very nicely. We rely on them within our business every single day. Our clients take them once they leave . these "freebies" were great giveaway items at our health fair and helped drive business to our booth. They looked much better than we thought they would. It's a one stop shop for everything I need- thanks to Veronica who always makes sure that my orders turn out the way we agreed on.